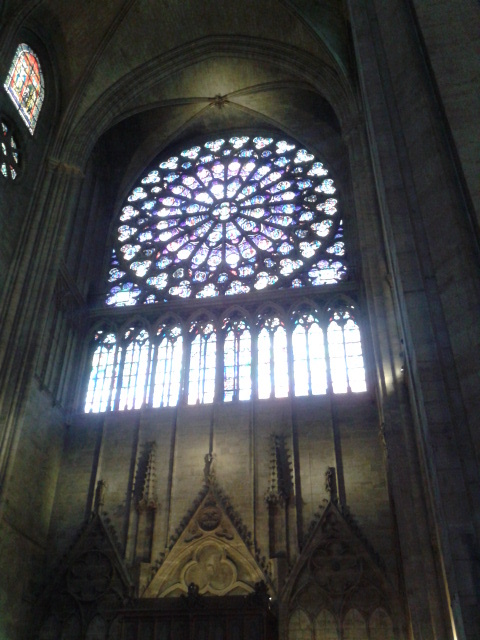 Post 32: Notre Dame in the Morning…! 90 to go! | My journey on becoming full-time designer. Pretty magnificent size wise and certainly popular during hot days like when I was there. Mr Fabulous thought I might be missing English language on my second day already, so he decided to take me to the shop on our way to the Notre Dame called Shakespeare and Company. It is on your right and Notre dame on your left and just when you are about to walk across the bridge to the cathedral. There are also many Parisian style cafes and bars in this area, but they come with pretty hefty price tag as my friend informed me. The shop is amazing. I cannot recommend enough to visit. Lot of love went into it and you can tell that the staff are putting lot of effort into preserving those darkly painted wooden beams and shelves covering every wall space available as well as making sure books are divided into right categories. It was pretty full inside with not much space to move around. However once you walk upstairs, you discover an advertising board and space to read your selected books. There are few different rooms with history breathing all around you. Not just from Shakespeare’s time, but also the 20th century. From photographs and artefacts you can tell this place remembers quite something and it was certainly the place to hang out for the artistic circles. Then we finally make our way to the cathedral Notre Dame. The actual entry fee to go in is free and you are allowed to take photographs without flash. 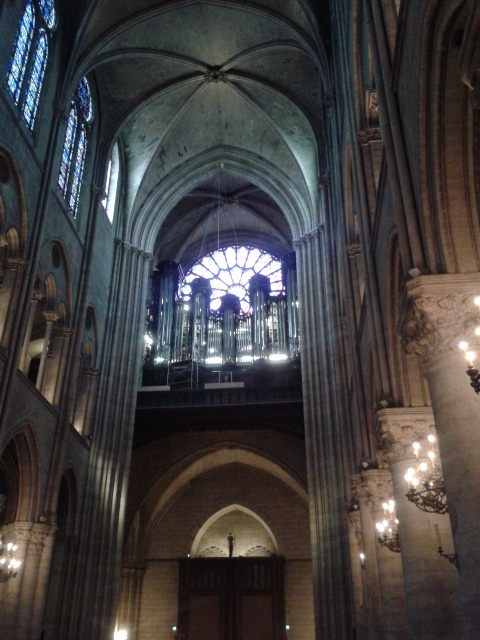 If you are hoping to walk upstairs to experience the great views of Paris, prepare yourself to wait in a queue, when going round the corner of the cathedral and paying 8.50 euros unless you belong in one of those lucky groups getting discount. Photographs are taken with my phone, so excuse the quality. 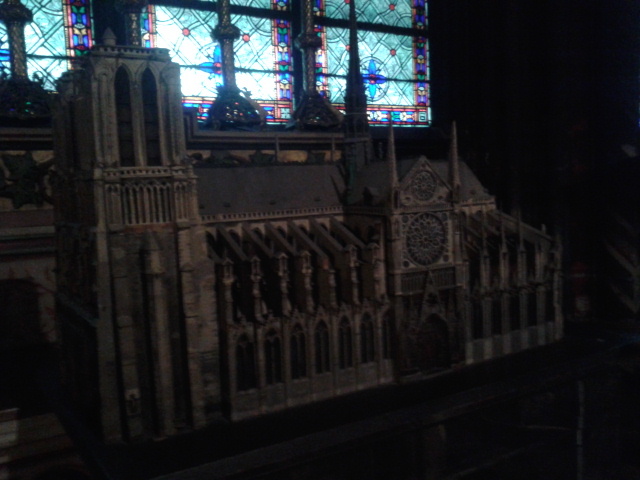 Looking at one of the two models of Notre Dame, I could not help myself informing Mr Fabulous how it is built, scale of it and the technique. Since I have university degree in building models, I could not help myself of spreading the knowledge. Not having enough time as we were having lunch planned at La Defense, we decided to give it a miss and walk towards area called Chatelet instead. 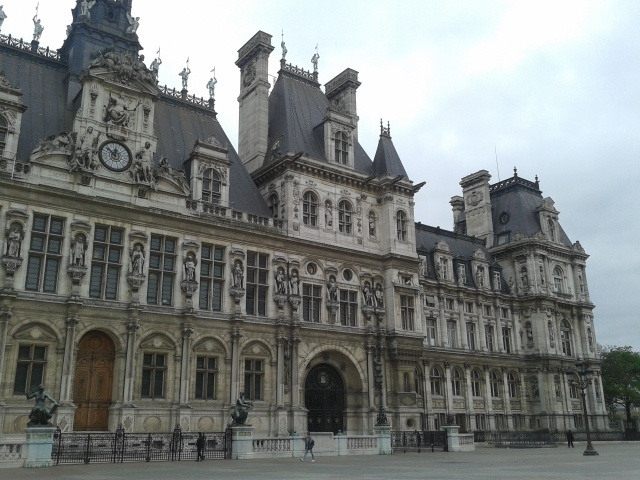 Heading to front of the island, we walk past the monumental building of Palais de Justice. 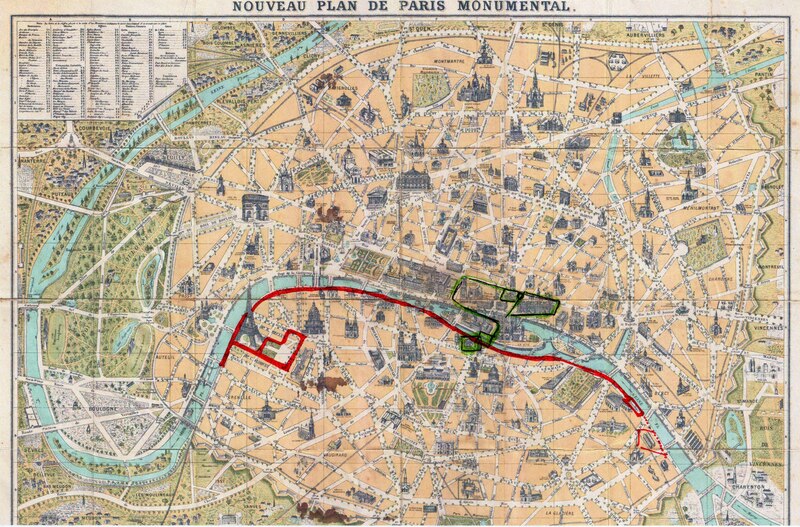 Not being much of shopaholics (if you are, apart from Champs Elysees, Chatelet is definitely a place to go), we both happily headed towards Saint Jacques Tower with a Parc de la Tour Saint Jacques. This lovely protected spot of greenery takes you instantly away from the noise of Parisian traffic and you can quite happily spend your lunch break there. It is literally just tower, you are not allowed to walk through, but pretty enough what is left from what was there once before. One of the very few green spots to hide away in this area. We then finished the walk by walking admiring the City Hall very nearby tube station Hotel de Ville and making our way to la Defense. This entry was posted in 3 Days Challenge- NEW!! !, All Posts, Kat Doodles About Life, Kat Recommends and tagged architecture, bookshops to visit, Chatelet, City Hall in Paris, degree in model making, English literature in Paris, green parks in Paris, green spots in Paris, Hotel de Ville, La Defense, Notre Dame, Palais de Justice, Parc de la Tour Saint Jacques, Paris, Paris sightseeing, price of Notre Dame, Saint Jacques Tower, scale, Shakespeare, St Michel, St Michel Fountain, St Michel tube station, theatre design degree, what to see in Paris, where to shop in Paris. I love Paris. It is my favourite city, of all I think. The only thing that I don’t like about it is the cost. Everything is so expensive – the hotels, the food, drinks etc (5Euro for a glass of coke in central Paris last time we were there!). But I overlook that because it is so beautiful and stylish. Plus I got engaged there 16 years ago!